沒有比台灣潛水中心更好的地方有開放式潛水課程！我的導師安吉洛是一位更好的老師，能說英語。他講授了有關潛水的所有細節，並且很容易理解。他也很有趣哈哈。我肯定會回到台灣潛水中心去玩潛水員或者獲得先進的潛水課程。希望很快再見到他。 There will be no better place to have Open water diving course than Taiwan dive center! My instructor, Angelo, was a greater teacher and speaks english well. He taught all the details about diving and explained well to understand easily. Also he is fun haha. I would definitely go back to the Taiwan dive center to have fun diver or get advanced dive course. Hope to meet him again soon. 價格比我自己的預訂便宜得多。很高興見到一位非常耐心的潛水教練。而且，老師也講好英語！經驗比預期要好。 Price was much cheaper than booking on my own. Glad to have met a really nice dive instructor who was very patient with me. Moreover, instructor speaks good English too! Experience was better than expected. 真的很喜歡潛水露天課程。我的教練非常專業，對我非常耐心。肯定會推薦給任何其他想要學習潛水的朋友。每天結束後，她請我加入她的團體吃晚餐，這是非常好的。不能問更好的服務。課程結束後，我乘車前往巴士站，所以我可以繼續前往台北。 really liked the diving open water course. my trainer was very professional and was very patient with me. will for sure recommend her to any other friends that wants to learn diving. after end of each day she asked me to join her group for dinner which is super nice. can't asked more better service. end of the course gave me a ride to the bus station so I can continue my trip to Taipei. 這是我完成我的PADI開放水域課程後訪問的第一個潛水中心和我又回到了很多次。從大跳水一邊 - - 為要回的主要原因是在該中心的人，他們讓你感到非常歡迎。所有的導遊和教練都在同一時間很專業，但很有趣。價格是非常實惠的，他們服務於一些美味的食物，讓你辛苦了一天的水下後。我不能推薦它足夠強烈無論你是一位經驗豐富的潛水員或總初學者。 This was the first dive centre I visited after completing my PADI Open Water course and I've returned many times. The main reason for going back - aside from the great diving - is the people at the centre, they make you feel very welcome. All the guides and instructors are very professional but great fun at the same time. The prices are very affordable and they serve up some great food to keep you going after a hard day underwater. 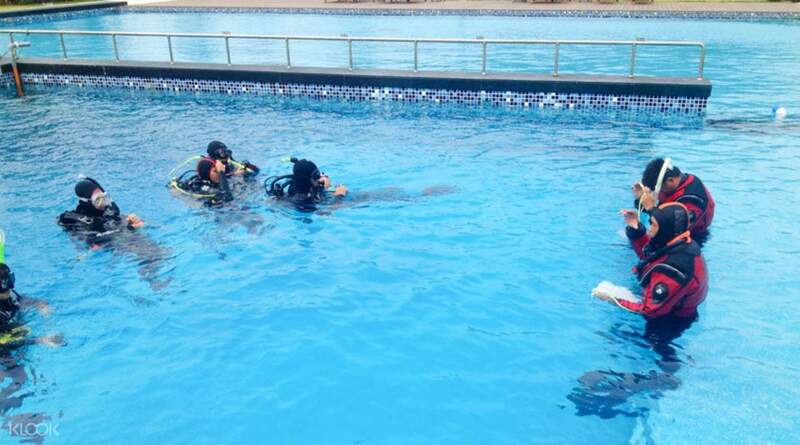 I can't recommend it strongly enough whether you're an experienced diver or a total beginner. 我把水開課程在TDC（台灣潛水中心）和年底是如此高興我做到了課程與他們。咸風和水自然就在墾丁的建築物和車輛通行費。不要被生鏽的卡車被愚弄，在TDC的教師和設備都非常優秀。在我開的水當然，我的教練，阿怎樣，有耐心，徹​​底的，我相信是關鍵，學習水肺了堅實的基礎。工作人員在各個方面都是有幫助的可能和我遇到別人誰是初學者還是被駐紮在那裡長期得到他們的潛水高手。每個人每天晚上一起去鎮上吃飯這是一大亮點對我來說，它沒有得到任何比掛出誰知道哪裡有最好的地方是人好。平日去，如果你可以得到最好的TDC和墾丁所提供的，避免週末趕去。 I took the open water course at TDC (Taiwan Diving Center) and by the end was so glad I did the course with them. The salty wind and water naturally take a toll on the buildings and vehicles in Kenting. Don't be fooled by the rusty trucks, the instructors and equipments at TDC are excellent. During my open water course, my instructor, Ah-How, was patient and thorough which I believe was key to a solid foundation for learning to scuba. The staff were helpful in everyway possible and I met others who were beginners or is stationed there long term to get their dive master. Everyone went to town together each night for dinner which was a highlight for me, it doesn't get any better than hanging out with people who knows where the best places are. Go during the weekdays if you can to get the best TDC and Kenting has to offer and avoid the weekend rush. 這個潛水中心位於非常好，近在咫尺的大海。它的員工們都非常友好和樂於助人，並願意去額外的距離，以幫助潛水員參觀。 This dive centre is very well located, within easy reach of the sea. 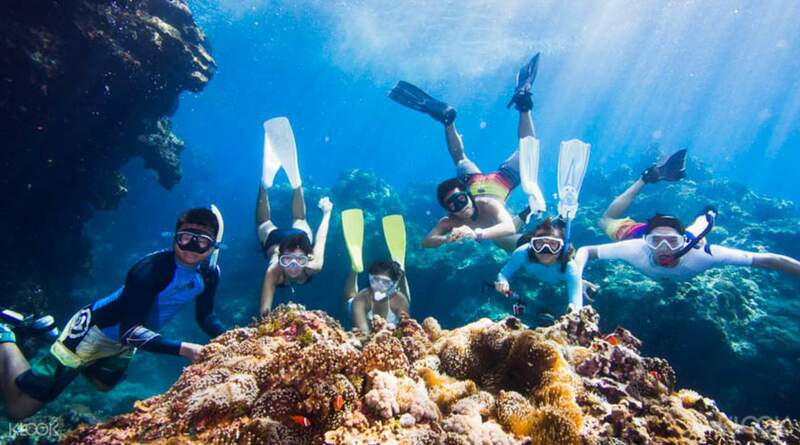 Its staff are really friendly and helpful, and willing to go the extra distance to help visiting divers.